Love sleeping in when you're on vacation? If you're at Disney World, it's important to resist the temptation to hit the snooze button and be an early riser instead. The very best reason to get up with the birds is so that your family can get to the parks early. Disney World park tickets cost a pretty penny, so a day spent waiting in line to go on rides is like throwing money down the drain. Time is literally money. At Disney World, it's a given that the parks get more and more crowded as the morning goes on. Arrive at opening time, and you will be able to go on your favorite ride or attraction without any line. You may even be able to do it twice quickly without having to use a FastPass+. An hour later, the regular wait time for the same ride might be 45 minutes or an hour. Your best battle plan is to arrive early in the parks and spend a few hours going on as many rides and attractions as you can. Around lunchtime, when the parks are hitting their peak crowds, consider heading back to your hotel for a bite to eat and some down time. You can return to the parks in late afternoon when many families are waning and starting to leave the parks for dinner. Staying at a Walt Disney World Resort comes with some nice perks. Along with the benefit of being able to go between your hotel and the theme parks quickly and without much hassle, you are able to take advantage of Extra Magic Hours. 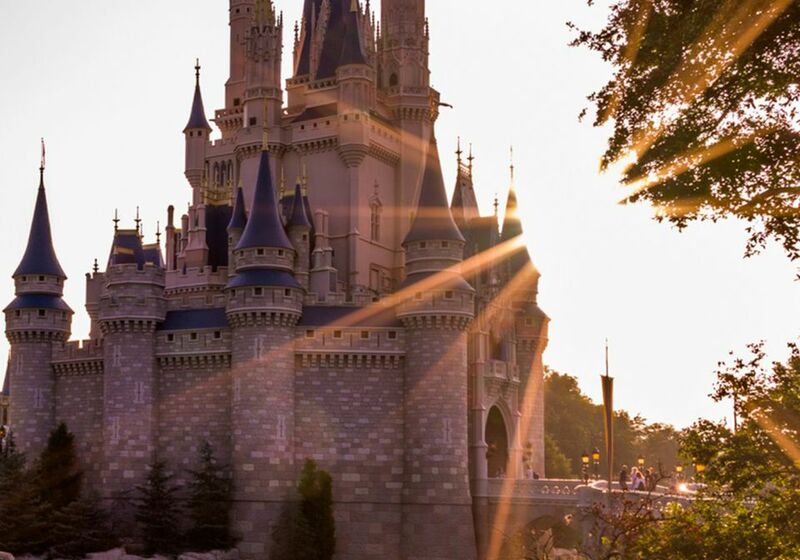 Here's how to make the most of your morning at Disney World. Plan your morning around Extra Magic Hours. Getting value at Disney World means spending less time in line and more time having fun. Families staying Disney World Resorts should take full advantage of Extra Magic Hours. Every day, one park opens an hour earlier than the others and another stays open an hour later. During the morning Extra Magic Hour, even the most popular attractions have virtually no line. This is your very best chance to ride Expedition Everest or Space Mountain twice in a row with little if any wait time, so go for it. As a bonus, you won't need to use up any of your precious FastPasses until later in the morning. Book a very early breakfast in the Magic Kingdom. Make an early-as-possible breakfast reservation (before 8:30am) at one of three restaurants inside the Magic Kingdom (Cinderella’s Royal Table, The Crystal Palace, or Be Our Guest). Finish your meal before the park opens at 9am, and you can get to your first attraction before a line forms and without needing a FastPass+. Arrive at the rope drop. If you want to visit a park that doesn't have the morning Extra Magic Hour, arrive right at opening time. This is especially important if you're visiting Animal Kingdom, as many of the animals sleep during the day. Your best chance to see them active is early in the morning or at dusk. Splurge on Disney Early Morning Magic. If you're visiting with little ones during peak season, there's a splurge option for families who want to get an early start in the Magic Kingdom or Hollywood Studios parks. The Magic Kingdom Disney Early Morning Magic package allows a very limited number of guests to be among the first to enter Magic Kingdom Park to have breakfast and then experience a trio of favorite Fantasyland attractions before the crowds descend. After breakfast at Pinocchio Village Haus, families will get exclusive access to Peter Pan’s Flight, Seven Dwarfs Mine Train and The Many Adventures of Winnie the Pooh. In Hollywood Studios Early Morning Magic, a select number of guests can enter the park and have breakfast at ABC Commissary before experiencing Star Tours - The Adventures Continue, Toy Story Mania!, Pixar Place character greetings (with Woody and Buzz), and Mickey and Minnie on Commissary Lane and Olaf at Celebrity Spotlight. Get to the water parks early, too. Heading to the Blizzard Beach or Typhoon Lagoon water park? It's still a good idea to arrive early. By 11 am, you'll spend a long time waiting for waterslides that had no lines at all at 9 am.